WHO: Mike Harland, director of worship at LifeWay Christian Resources. 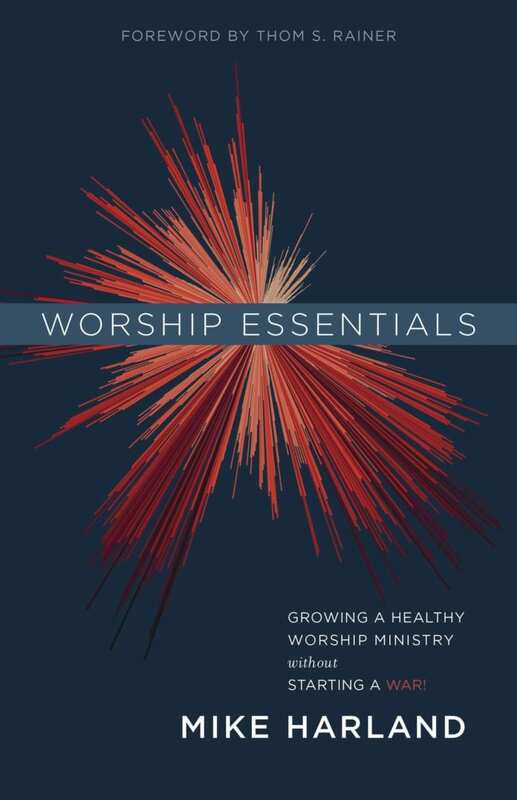 THE BIG IDEA: This book offers the tools worship leaders need to build biblically faithful and effective worship ministries without bringing the disruption that often accompanies change. The author introduces four values that serve as the book’s sections. These values are encouraged to build a strong worship ministry. Value 1, “Tell the Story,” explains that worship shares the story of Jesus. Value 2, “Make True Disciples,” shows how songs and hymns convey the truth. “Engage the Body” is Value 3. In this section, the author discusses the importance and biblical call for believers to praise God with song. Value 4, “Aspire with Purpose,” offers encouragement and advice. How would you define, in a sentence or two, the role of a worship leader in a congregation? It is a “shepherding” role. Instead of performing music to be received by attenders, worship leaders prompt the response of God’s people. Congregations shouldn’t go to worship to watch something; they go to do something. Instead of worship being a time we go to get, it becomes a place we go to give. What are some common mistakes you see in the culture of worship at local churches? Leading who we “wished was there” instead of who is there, emphasizing the platform over the pew, allowing technology to frustrate the worship instead of serve it, not placing enough emphasis on theology and testimony, moving on to new songs too quickly. One of the struggles many churches face is the relationship between senior pastor and worship leader. How can those two leaders get and stay on the same page? A great deal of energy needs to be spent building the trust relationship between these two leaders. Worship ministry is shared by these two leaders. When they have a shared focus, shared preparation, shared execution and shared evaluation, the church will greatly benefit. It takes trust, and trust takes time and intentionality. It should be a goal of every pastor and worship leader to build this trust. Why is worship—particularly singing—so important to the life of a church? Music is one of the most powerful discipleship tools we have. Think about it; we teach our children the alphabet with a melody. Why? Because of the powerful link between music and memory. Our friends and family don’t quote sermons on their deathbeds—they sing songs. Music matters because it carries emotion, something that should be present in worship. Imagine your favorite movie scene without the music score. Falls flat, doesn’t it? Music reflects creativity, one of the attributes that God gave to his creation. We learn theology as we sing, express emotion in our worship and shape our prayers. And, when we sing to and for each other, we inspire the same outcomes in others. Music is an essential part of every disciple’s growth That’s why the command to sing is the most common command in all of the Bible. Singing is not just for singers. It’s for believers because it blesses our Savior and equips our spirit. Congregations that don’t sing are less than he intends them to be. Next articleWhat Is Authentic Worship? Mike Harland is the Director of LifeWay Worship.